- Welcome letter - see the example below. 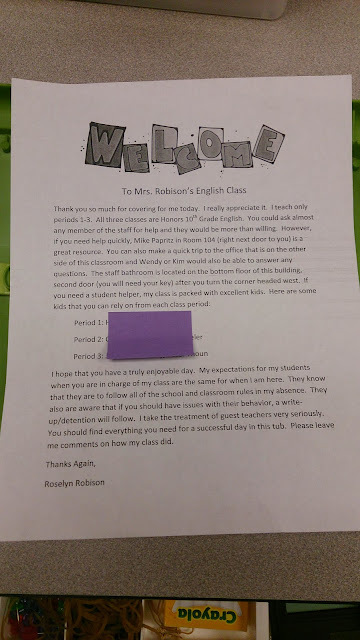 On mine I make sure to explain my classes a bit and leave a list of helpful staff who are close and students from each class who can be counted on. - Notes on special needs students, so that even in my absence they get the accommodations they need. I also put health information in there... Just in case. - School procedures with all of our different bell schedules, the master schedule, a map, etc. 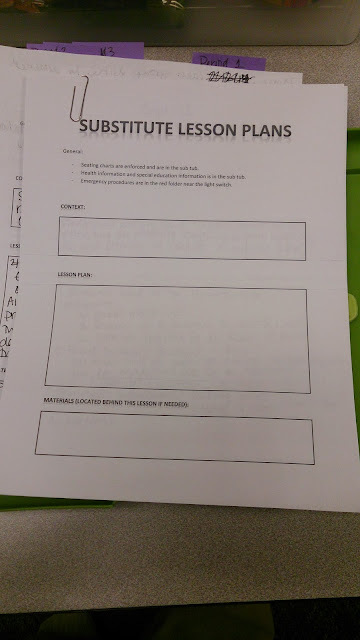 - I have a sheet where substitutes can leave me notes about each class. 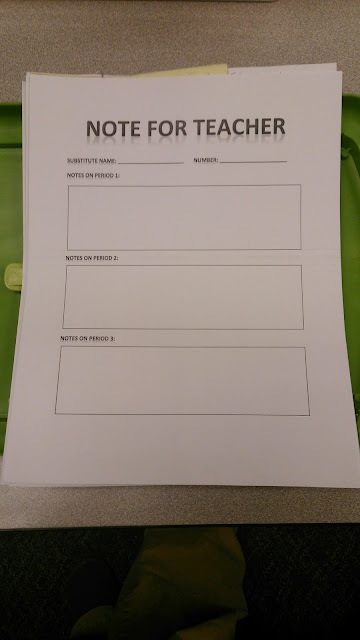 I love this, my substitutes commonly attach any late notes and their business card. - I want to add a genetic lesson plan just in case something comes up and I have to call in without plans in place - your have to be ready for anything with two young boys at home. 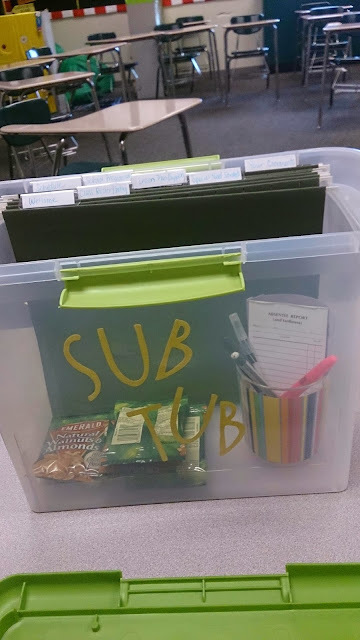 I originally thought that this was a bit too cutesy for high school, but I love it now and so do the substitutes who have used it. It really helps when my baby comes down with a fever unexpectedly and I have to ask a friend to help. All I do now is ask them to pull the sub tub and it's done.